Bagpipes are perfect musical instruments and making them might be a little challenge. This can be made from recycling old recorders and garbage bags as they are easily available at a little cost. Manipulating these recorders and garbage bags is a simple exercise that does not require the help of a technician or technical capacities. Here is one easy way to make a bagpipe from a garbage bag that Jamie from visit website wants to share with us. After obtaining these materials needed, create the most perfect design of your bagpipe depending on your ability to use it. It can range from simple to complex designs according to your ability to make them. An air holding bag. In our case, this will be made by the use our recycled garbage bag. 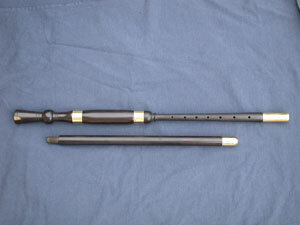 A blow pipe. This is used to insert air into the bag. We use chanters in the bagpipes for playing melodies. It is important in the bag pipe as it plays a constant voice note. A large plastic bag and here we will use a garbage bag. 2 recorders and they should be made of PVC for easier design and construction. 2 pens or moderate sized straws or hose pieces. A pair of scissors and a tape. After acquiring the needed materials, the next step is to make the blow pipe by adjoining the pens using the tape. Trim the bag to the desired size such that it attains a regular shape. This is done by cutting it down using the pair of scissors. After cutting the garbage bag, insert the blow pipe on one of the open sides of the bag. After that, tape a small part of the bag. Take one recorder from the two and tape it near the blow pipe. This recorder will act as a drone on our bag. When doing this, ensure that whistle part of the recorder is open. Tape the rest of the bagpipe so as to make it air tight. Using the pair of scissors, make a hole at the corner of the bag and this should be on the same side with the blow pipe. In this hole, attach your other recorder such that it acts as a chanter. Modify the drone by covering some of the holes using a tape in a way that there will be no earplugs. When all of this is done your bagpipe is ready for use and you can have fun with it.